Maps are insightful and easy to read. Learn how to embed map based visualizations in to your Excel workbooks / dashboards with this masterclass. 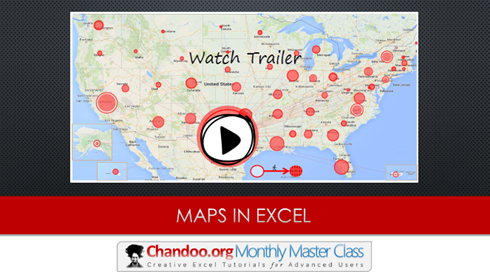 We cover 5 in-depth case studies to help you learn powerful ways to get maps in to Excel.